The iceberg, dubbed B09B, is 1,120 square miles, about the size of Rhode Island. A giant iceberg has trapped a colony of penguins, killing 150,000 of them. The huge iceberg got stuck off the coast of Antarctica about six years ago, and an estimated 150,000 individuals have died since then, according to a CNN report. The iceberg, dubbed B09B, is 1,120 square miles, about the size of Rhode Island. It is isolated a group of Adelie penguins who are cut off from their food supply. It has also changed the landscape around them. 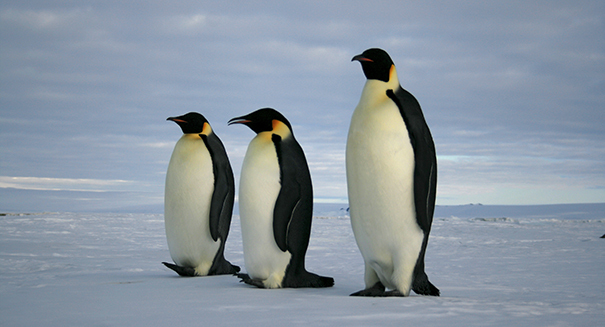 The findings were published in the journal Antarctic Science by the Cambridge University Press. The research notes that the iceberg ran aground in Cape Denison in the Commonwealth Bay back in 2010 after floating near the coast for 20 years. This event has caused the colony of penguins to be stuck on land, forcing them to walk 40 miles to find food. Now, the colony stands at just 10,000 penguins after once numbering about 160,000. The population first started plummeting severely in 2011, and things aren’t looking good for the remaining individuals. The colony could disappear entirely in 20 years if sea ice isn’t able to break up the huge ice berg. Fortunately, another colony of Adelie penguins is thriving about five miles from the bay, which is part of how scientists know that the dwindling numbers of the other colony of penguins is directly due to the iceberg. Adelie penguins face a long term threat from climate change and global warming, and are likely to see more of their habitat altered in the coming decades.